The boys and girls 18 All Stars went to Rialto to participate in the 2017 Open Cup. The boys played splendidly and placed 2nd in the tournament. The boys team was led by Coaches Jason Arnold and Dave Haggerty. 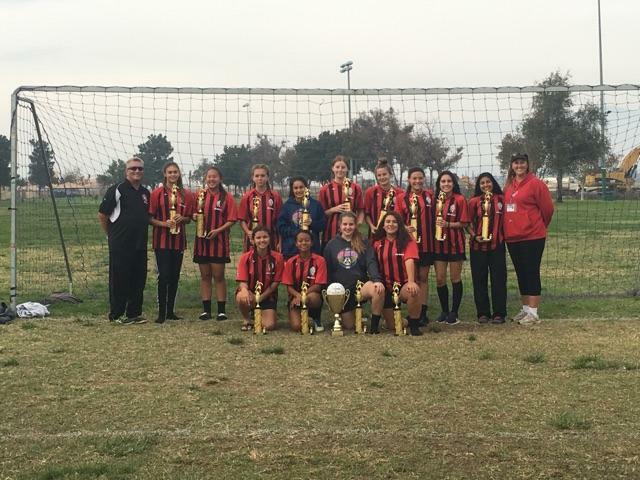 The girls did one better and won their tournament. Another Open Cup win for TVSA! The Girls 18 All Stars was led by coaches Coaches Ken Paplanus and Holly Ostroske. TVSA appreciates the effort and commitment that both the players and coaches put into this All Star season. Congratulations to all.